Kent's "Hooligan Libertarian" Blog: Rights- reciprocal or absolute? Are rights strictly reciprocal? If you refuse to recognize the rights of others, does that mean you, yourself, have no rights? I saw someone make this claim, and in my mind it doesn't hold up, even if it seems correct at first. First off, let's get this out of the way: if rights are imaginary, then no one has any rights, including the right to rule, so that gets rid of the specter of "legitimate government" (among other atrocities) right off the bat. Go in peace and do what you're going to do-- subject to what others are willing to put up with. On the other hand, I think the nature of human beings makes rights a real and necessary thing, so the rest of this is based on that premise. I think it is the nature of rights that they can either be respected or violated, and nothing else. I think rights can't be "lost" regardless of what someone does. Actions which violate rights may create a debt which needs to be paid, or they may cause defensive actions to be used against the person, but that person still has the exact same rights they did before they violated anyone. Consequences simply happen. Insisting on restitution doesn't violate rights. Restitution is justice. Self defense (of person or property) doesn't violate rights. Self defense is a human right. Shunning someone, even to death, is an exercise of the right of association and doesn't violate anyone's rights. No one has the right to impose their presence on you, and their existence doesn't obligate you to do anything other than to not impose yourself on them. If rights somehow only exist if they are mutually recognized, then rights would never exist in the presence of archators of any kind, and specifically anywhere there were a State or government. States NEVER recognize rights, but relegate them all to the status of privileges-- to be handed out and withdrawn at the whim of the "law". Yet, I can still see that you have rights regardless of who is violating them. 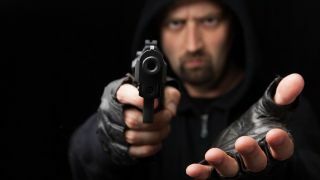 If you are facing an armed mugger (or a government employee), it is apparent he doesn't recognize your rights. If rights only exist when mutually recognized, there would be no rights present for either of you. But if I am watching, I know you still have rights, and if I need to shoot the mugger in order to help you keep your rights inviolate, I may choose to do so. The opinion of the mugger has no bearing on the existence of your rights. Rights never depend on what the other person believes or does. So, no, rights are not dependent on being reciprocated, even though that might be nice. Recognition of rights is applicable for judging intent and culpability for justice, but does not negate rights. You cannot make a judgement of malicious intent upon an entity who is ignorant or incapable. In other words; They are not in the position of malice if they do not know the difference or consequences of their actions, someone who is otherwise incapable of judgement or necessarily controlling their choices and actions such as a child or mentally handicap/ill person. For example: A hardened war veteran, who happens to be retired and a kind gentle model citizen/person who teaches children and does charity work, etc, and who has never had any mental issues or episodes, is triggered in the middle of shopping at Mega-Mart, and for 20-30 seconds, thinks he is in the middle of battle. He breaks a toy gun across the store clerk's face and tackles the other one and punches on him, breaking his knee and crippling him. He snaps out of it and apologizes, feels terrible. Should you banish him, force him to leave town, punish him by making him slave to his victims or locking him in a cage? If a man tackles you for no apparent reason and without provocation, does it negate your right to defense because he's having a psychotic episode and thinks you're Vietcong? What about someone who grew up watching his/her parents hustle heroin by various means, to include scams and theft strategies, prostitution, etc? Do they know better right/wrong or what rights are when they rob someone? Are they considering the finer points of libertarian philosophy and ethics, principles, etc? "Should you banish him, force him to leave town, punish him by making him slave to his victims or locking him in a cage?" "If a man tackles you for no apparent reason and without provocation, does it negate your right to defense because he's having a psychotic episode and thinks you're Vietcong? Nope. You aren't required to do a psychological analysis before defending yourself. "Do they know better right/wrong or what rights are when they rob someone?" I'm not sure, but I suspect they do. They may be in denial, and are probably pretty messed up, but if they truly didn't know right from wrong, they wouldn't hide from others what they do. "Are they considering the finer points of libertarian philosophy and ethics, principles, etc?" No, and very few people are, so they have a lot of company. And that's odd, considering that's something all children learn at an early age, and it takes "schooling" and terrible examples to drive it out of them. I was being somewhat rhetorical, just for thought exercise. I pondered: "Are rights strictly reciprocal? If you refuse to recognize the rights of others, does that mean you, yourself, have no rights?" Of course you still have rights, but how would someone not know what rights are? Under what circumstances is someone not culpable for violence? There is the obvious invalid perspective argument, citing the aforementioned incapacity. But what about more complicated matters? I think most people have an inherent sense of right/wrong from an early age, as soon as they learn to socialize, ..but that their moral compass can be altered through conditioning. The kid that grows up watching his parents hustle for drug habits becomes a gangster while the kid who grows up watching his role models get educated gets educated and works in an office. The one who learns crime as a way of life as to facilitate needs, whether he knows right/wrong, he still only knows theft to feed himself. The one who has taken various social studies, philosophy and psychology courses does not have that excuse. If either tries to rob you at gunpoint on the street, your right to defense applies equally to both. But pity the one who does not know better when you kill him. If it is something more complicated such as the arguments of determining proper justice/restitution, considerations of perspective and intent should be made. "Of course you still have rights, but how would someone not know what rights are?" That was worded oddly. To clarify: You do not retain your rights against acts necessary to defend from your violence. Defense is not violence.